Chatbots are in, there is no denying that. Everyone is talking about how they can save time and resources by automating customer service. Sounds too good to be true? Well, first let’s look at what chatbots are and what they are able to do. 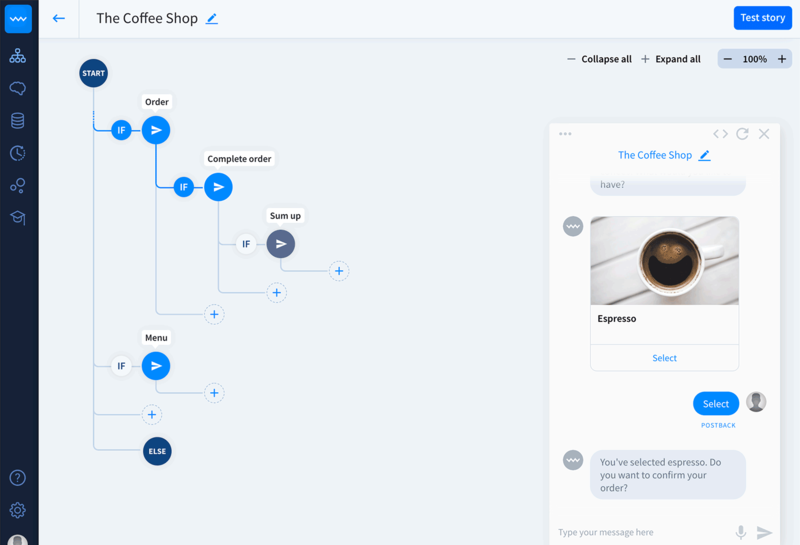 It is an online assistant, that uses certain rules and/or artificial intelligence to conduct a conversation with users. You create a scenario for your chatbot or import a built-in template. Once your story is ready, your bot will follow it while talking to customers. But what can they do really? Bot skills are quite versatile so there are lots of use cases: lead generation, simple transactions, sales, FAQ, appointment scheduling, out-of-office form, surveying, spam filtering. You name it. Looking for inspiration? Read our Six simple chatbot ideas. You probably already know that customers (really) don’t like to wait for your response. But agents can deal with only so many cases at the same time. This is where bots come in handy – not only they reply in seconds but also never go to sleep. Someone wants to buy shoes at 2 am and needs to know the return policy? Not a problem anymore. Chatbots can take a thousand chats at the same time. In result, unburdening your customer service team. Simple queries get resolved instantly in a bot conversation and your agents have more time to deal with complex cases. No more queues. Let’s be honest, businesses need to make money and sell their products. Thanks to rich messages, bots can send product cards, that allow customers to add items to their carts or book services directly from chat. It really makes up for a great purchasing experience. Oh, and bots are pretty good at lead generation as well. Chatbots don’t make mistakes (at least grammatical ones). Everyone who’s worked in customer service knows these stories: you made a ridiculous typo, provided information that was completely wrong, misspelled your company name – these things don’t happen to chatbots. You only need to proofread once – and that’s it. Chatbots making anything more humane? Sounds counter-intuitive. But you can make automatic processes more personal by transforming boring forms into bot conversations. Gathering customer information for lead generation? Check. Appointment scheduling? Check. Surveying? Check. Curious about bots? Sign up for Chatbot’s free trial – easy integration with LiveChat, plug&play solution, no coding required.